Draped in red flags of the Left Front, Singur wore an unfamiliar look on Sunday, when West Bengal Chief Minister Buddhadeb Bhattacharjee rose to promise several hundred thousands of people that cars will roll out from the erstwhile Nano site. 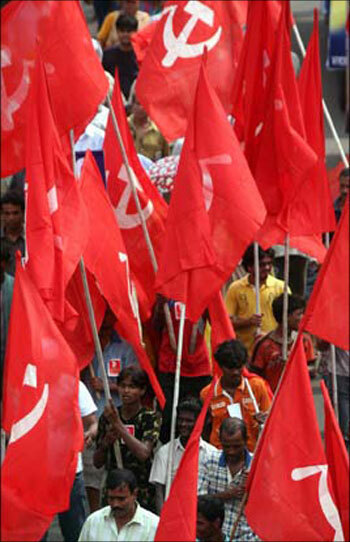 The Left Front rally -- held about five kilometers from the Tata Motors factory site -- saw a turnout reminiscent of the indefinite dharna staged by Trinamool Congress leader and now Railway Minister, Mamata Banerjee, just about two years ago, which ultimately led to the pullout of the project. That was August 2008, but dissent against the Nano project had been brewing immediately after it was announced in 2006. 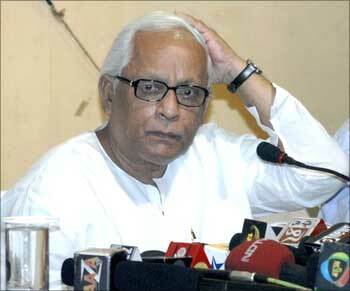 Image: West Bengal Chief Minister Buddhadeb Bhattacharjee. "They (the Left Front) have been trying to get Buddhadeb Bhattacharjee to address the people since the past four years, but couldn't. The atmosphere wasn't conducive. Today the turnout proves that the opposition has lost some ground," Udayan Das, president, Singur Shilpa Bikash O Unnayan Committee. 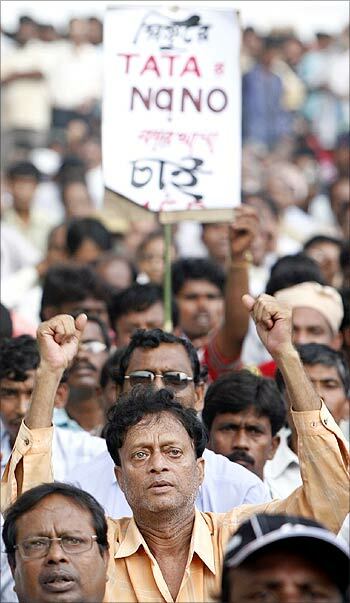 No black flags were shown in protest on Sunday, something Bhattacharjee might have got used to, over the past year, on his visits to the districts. The West Bengal chief minister did not have anything new to offer to Singur and its people, except that the site would be used for an industrial project. 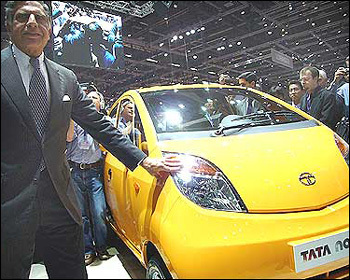 Image: Tata Motors chairman Ratan Tata with the Nano. "If all goes well, we will have a car factory," he said, without clarifying whether he meant Tata Motors. But Das is upbeat. He has recently received a letter from a Tata Motors senior official. "A S Puri, vice president, Tata Motors, has written to us saying that he will be visiting Singur next time when he is in Kolkata," Das said. In October, Tata Motors had said that the environment was still not conducive for the company to return, in response to a letter from the committee. The Singur Shilpa Bikash O Unnayan Committee, seen as a frontal organisation of the CPI(M) by the Opposition, is also taking up the unwilling farmers' case. "We have requested the government to waive the extra expense that they will have to bear just for legal paperwork if they collect their compensation through the court," Das said.